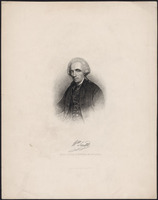 POWNALL, Sir GEORGE, office holder, politician, and jp; b. 1755 in Lincolnshire, England, son of John Pownall; d. 17 Oct. 1834 in England. George Pownall came from a ruling class background. 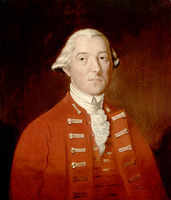 His uncle, Colonel Thomas Pownall, held important posts in the colonies and from 1767 to 1780 was a member of the House of Commons. 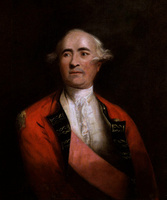 His father was, among other things, under-secretary of state for the American Colonies from 1768 to 1776 and so had great influence on one of the secretaries, Lord Dartmouth. He probably was largely responsible for George’s rapid rise in the higher ranks of the colonial administration. Thus, on 7 April 1775 when he was just 20 George was entrusted by Dartmouth with the senior offices of secretary and registrar of the province of Quebec. These posts entailed considerable responsibility. The civil secretary had to prepare all official documents, including proclamations, under the direction of the governor acting on his own or in concert with the Legislative Council. Moreover it was the civil secretary who was responsible for the government’s official correspondence and the issuing of letters patent and various commissions. Pownall arrived at Quebec on 15 June 1775 along with Chief Justice William Hey*. On 7 August Governor Guy Carleton* appointed him to the Legislative Council, of which he remained a member until his death. He was also the first person to serve as clerk of the council, being replaced in that office by Jenkin Williams* early in 1777. In the summer of 1783 Pownall was granted a year’s leave of absence to return to England. He was back in the province in June 1784 and soon after was chosen by Governor Frederick Haldimand* for the “privy council,” a body of legislative councillors who belonged to the French party and had the governor’s confidence. But after Haldimand left, Pownall sided with the English party, which represented the interests of the British merchants, sought to have English laws apply in civil and commercial matters, as well as criminal ones, and stood against the French party led by Adam Mabane*. The question of excluding the public from the deliberations of the Legislative Council, a subject of serious disagreement among its members, illustrates his attitude. The issue first arose at a meeting on 22 Jan. 1786, when 16 people asked permission to attend the debates. Henry Caldwell* immediately made a motion to that effect, but it was rejected by 10 to 8, with all the French-speaking members of the council voting against it. On 25 January Pownall registered a protest against the exclusion of observers, alleging that all British subjects had the right, on due request, to attend the debates of a body passing the laws to which they would be subject. The convention that legislative councillors were obliged by their oath to deliberate in camera no longer held, he added, and it was imperative for the suspicions fostered in the public mind by secrecy to be dispelled. In 1789 one official, Alexander Fraser, listed Pownall in a confidential dispatch to London as being among the councillors allied with Chief Justice William Smith*, the leader of the English party. On 6 Nov. 1786 four Legislative Council committees were set up by Governor Carleton (now Lord Dorchester) to inform the imperial government about the colony’s administration and help it determine the best type of government to establish. Pownall was named to the committee on internal and external commerce and police regulations along with John Collins*, Edward Harrison*, William Grant*, and François Lévesque*. From 12 July 1788 till 31 Aug. 1789 he sat as a judge under a commission of oyer and terminer and general jail delivery. In July 1788 he received the first of a long series of commissions of the peace. He was also empowered to receive oaths, a function renewed in 1791 and 1793. Pownall was one of the founding members of the Agriculture Society in the district of Quebec in 1789. The following year, and again in 1802 and 1803, he was made an Admiralty commissioner for the trial of certain offences committed at sea. On 26 Dec. 1791, the day the Constitutional Act came into effect, his authority as secretary and registrar of Lower Canada was confirmed. As he had left for England on 14 August, Hugh Finlay* assumed the duties temporarily. In October 1795 Pownall received another leave, and in 1796 he was made a knight of the Order of the Bath. In November 1799 he was appointed commissioner, along with four other Anglicans, for the erection of a metropolitan church at Quebec, an appointment renewed in July 1803. Sir George Pownall went back to England that year. There he came into possession of an estate in Norfolk bequeathed him by his uncle Thomas, who died in 1805. But he did not seek permission for retirement until 24 March 1807. The Colonial Office acceded to his request and granted him an annual pension of £300. Thomas Amyot succeeded him that year as provincial secretary and registrar. PAC, RG 68, General index, 1651–1841. Docs. relating to constitutional hist., 1759–91 (Shortt and Doughty, 1918); 1791–1818 (Doughty and McArthur), 72. Papers and letters on agriculture, recommended to the attention of the Canadian farmers, by the Agricultural Society in Canada (Quebec, 1790), 3. Papiers et lettres sur l’agriculture recommandés à l’attention des cultivateurs canadiens par la Société d’agriculture en Canada (La Pocatière, Qué., 1882), 10. Quebec Gazette, 30 July 1783, 17 June 1784, 18 Aug. 1791, 9 June 1796. [F.-]M. Bibaud, Mémorial des honneurs étrangers conférés à des Canadiens ou domiciliés de la Puissance du Canada (Montréal, 1885), 18. DAB (biog. of Thomas Pownall). André Desjardins, “Guide de consultation des archives de la période britannique (anciennes séries QBC) conservés au Centre d’archives de Québec” (typescript, Québec, 1985). Desjardins, Guide parl. “Papiers d’État,” PAC Rapport, 1890: 143–44, 208, 241, 250, 277. “Papiers d’État – Bas-Canada,” PAC Rapport, 1891: 120, 123, 198. Quebec almanac, 1788, 1791, 1794–1808, 1811–33. Turcotte, Le Conseil législatif. A. [C.] Valentine, The British establishment, 1760–1784. . . . (2v., Norman, Okla., 1970), 716–17. Wallace, Macmillan dict. A. L. Burt, The old province of Quebec (2v., Toronto, 1968), 2: 129, 139. Millman, Jacob Mountain, 87. F.-J. Audet, “Les législateurs de la province de Québec, 1764–1791,” BRH, 31 (1925): 489–90; “Oyer and terminer and general gaol delivery,” BRH, 39 (1933): 216–19. F. B. Wickwire, “John Pownall and British colonial policy,” William and Mary Quarterly (Williamsburg, Va.), 2nd ser., 20 (1963): 543–54. Christine Veilleux, “POWNALL, Sir GEORGE,” in Dictionary of Canadian Biography, vol. 6, University of Toronto/Université Laval, 2003–, accessed April 24, 2019, http://www.biographi.ca/en/bio/pownall_george_6E.html.